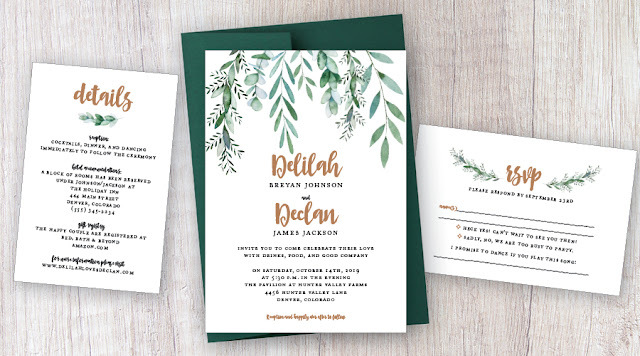 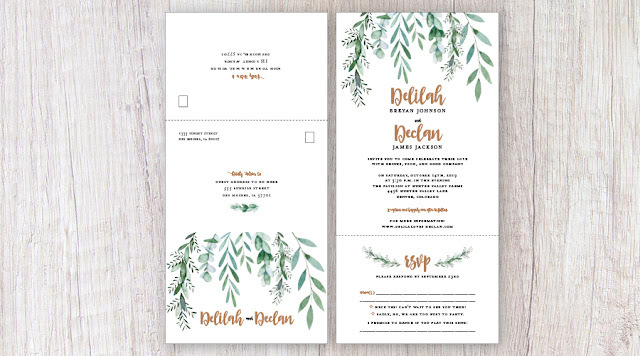 Delilah Seal and Send Wedding Invitation – this is an all in one invite that you fold seal with clear stickers and mail. 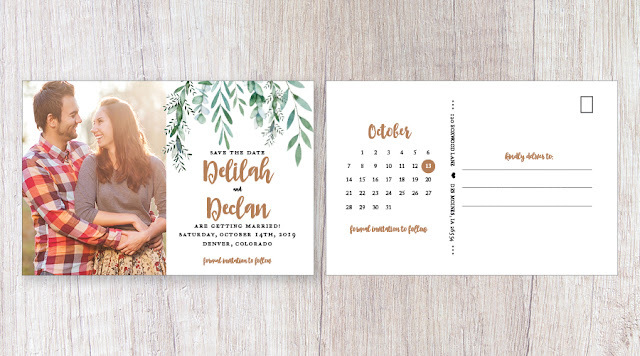 Delilah Save the Date Postcard – sized to 6"x4" with photo on the front and calendar details on the backside. 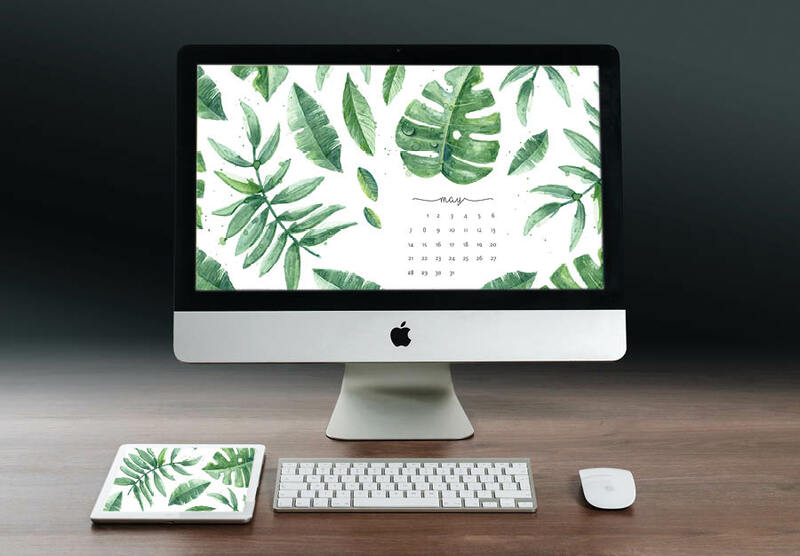 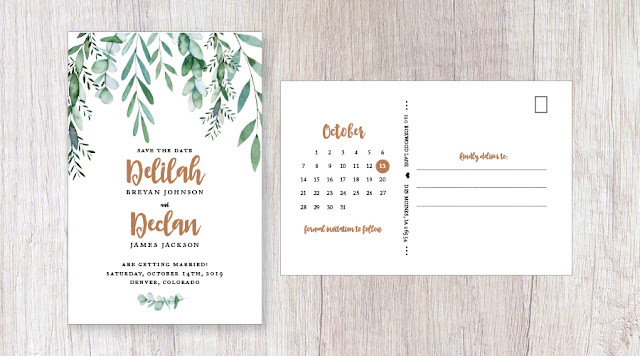 Delilah Save the Date Postcard (Option #2) – sized to 6"x4" with greenery details on the front and calendar on the back. 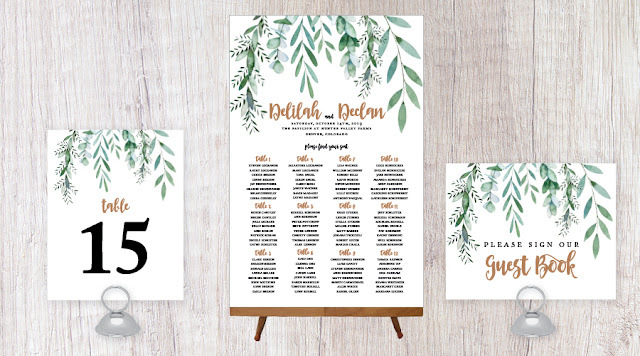 Find the entire Delilah suite collection here.